Eva specialises in the application of E3ME and is responsible for maintaining and regularly updating the model’s large-scale databases and applying econometric techniques to estimate model parameters. She has over 5 year’s experience of econometric modelling. 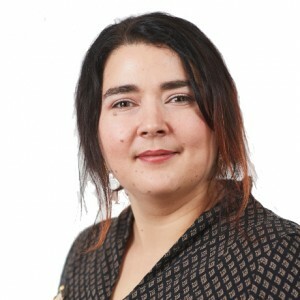 Recent examples of her work include: developing a whole-economy model of Brazil that can be used to assess the impact of Environmental Tax Reform and other changes to fiscal policy (Brazilian Ministry of Finance), providing macroeconomic analysis for the 2030 energy climate package as part of the Impact Assessment of the 2030 targets (DG Energy), assessing the impact of energy subsidy reform in India and Indonesia (IISD), an analysis of the employment impacts of climate policies in Europe (DG Climate Action) and an analysis of the employment impacts of policies proposed in the Energy Roadmap 2050 for DG Energy.